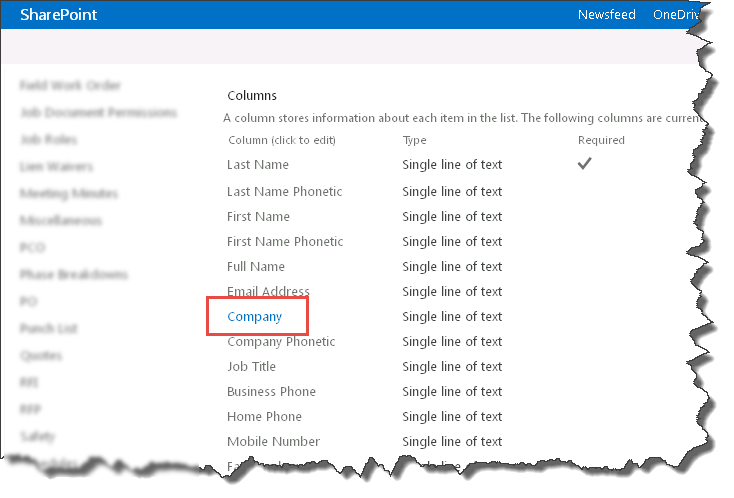 List and library forms in SharePoint aren’t the most user-friendly straight out of the box, unless you know how to configure them correctly. In my recent presentation for SP24 (Top 20 Usability Tips for SharePoint Sites) I talked about a lot of things that site owners could do to make their sites more friendly for their users. One of the subtopics of that presentation was forms etiquette. 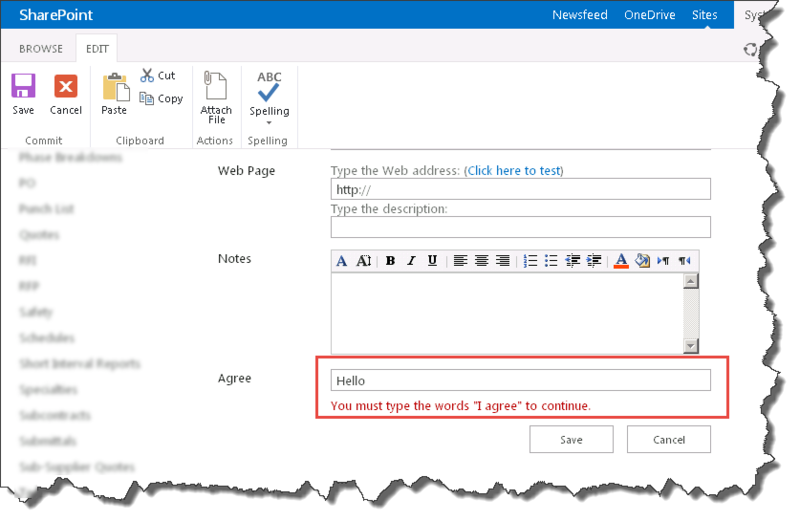 There are several tweaks that a site owner can make that will have a huge impact on the usability of SharePoint forms for end users. This article will be part of a 4-part series that goes into detail on how to turn the standard forms into more user-friendly forms without writing any code or using form-editing tools such as Infopath (once I get articles 2-4 written, I’ll add links to them below). 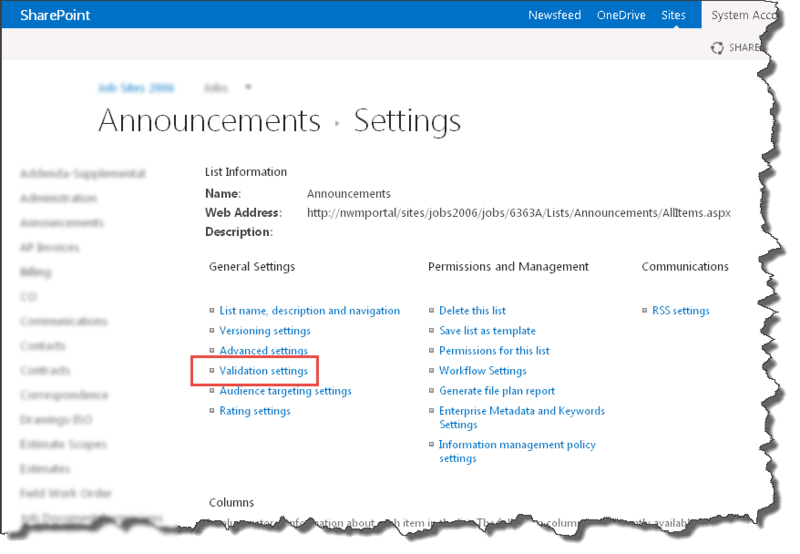 Lists and libraries are very easy to set up in SharePoint. 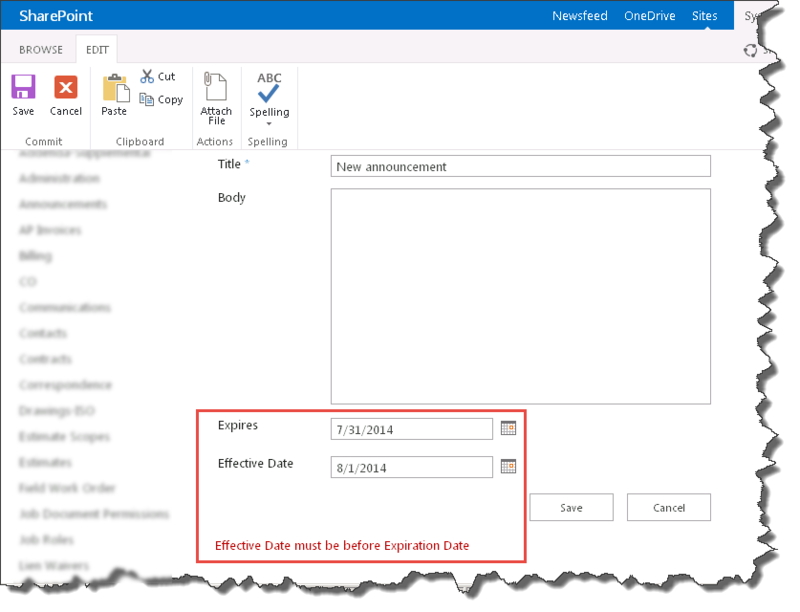 By default, either the Title or Name field is set as required, with all other fields not being required or having any additional kind of validation set. That’s where most people stop. However, when creating lists and libraries, it’s important to understand just how they are going to be used and try to make them as easy for your users as possible to input data. If you have fields that must have data entered in them in order for a workflow to operate properly, for example, then force your users to enter a value for that field. Or perhaps you have some metadata fields that you wish for people to enter to aid in the findability and organization of your content. The more metadata that can be captured, the better the entire search experience will be for all your users. 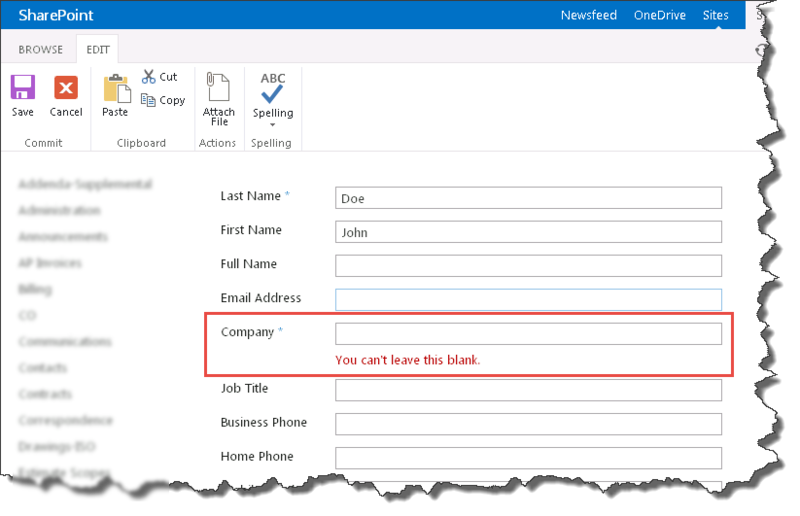 Tip: Don’t make too many metadata fields required, else your users will get very frustrated and may even refuse to use SharePoint at all if it’s too much work! It is very easy to force a field to be required. First go into the list’s settings by clicking on List in the ribbon, then List Settings (note: the same procedure would be followed if this were a library, except you would click on Library, then Library Settings). We are assuming that the field you wish to make required has already been created. Scroll down until you get to the Columns section. Here you will see any fields that are already required in the far right column. In our case, we would like to require our users to always fill in the Company field, so click on the Company link. 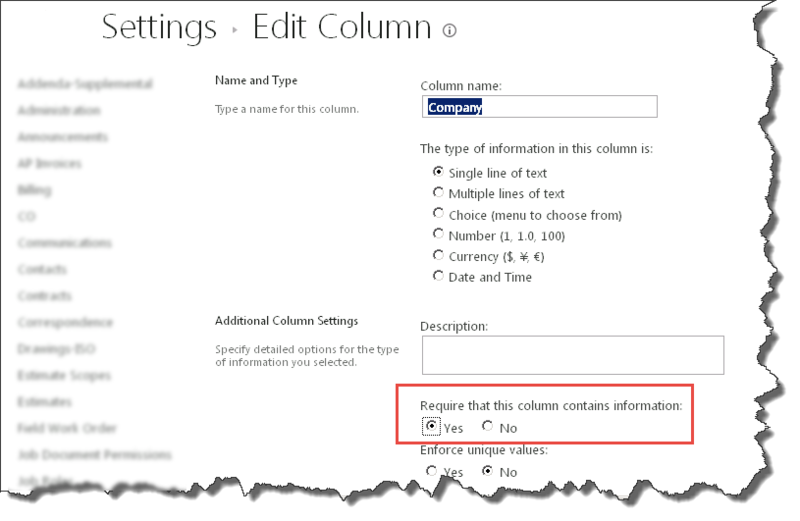 Simply click “Yes” for Require that this column contains information and save the entry. Note: The process is the same when creating a new column. The same option is available from the Create Column screen. If you try to save a record without entering a Company, you will receive an error message. So everyone knows about required fields, right? 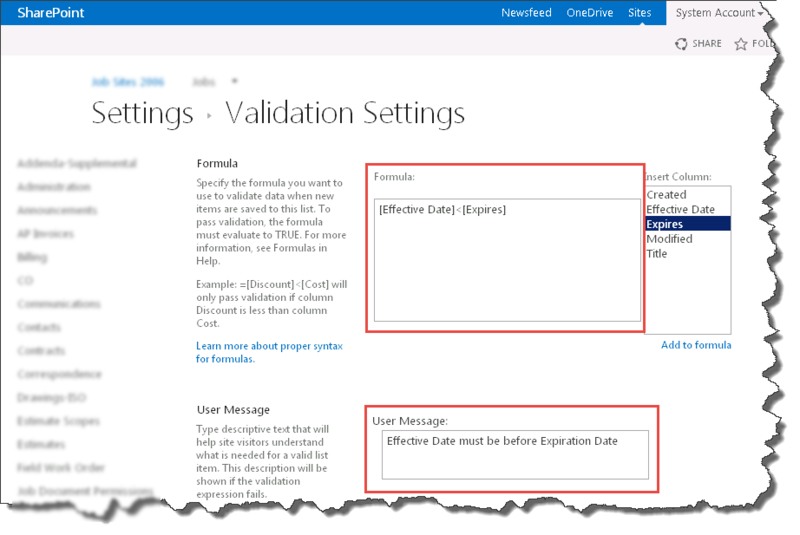 But did you know that you can create slightly more complex validation rules right from the SharePoint user interface as well? What if you wanted to check that a field matched a particular value before proceeding, or that one date was less than another date? Well you can do that! Let’s say you have a text field and you want the user to type in the words “I agree” to indicate that they have read the terms and conditions. When creating or modifying a field, you will expand the Column Validation section and enter your formula and the error message that the user should see if they enter invalid data. The formula must evaluate to true when input is being entered. If it does not, the User Message will display to the user. 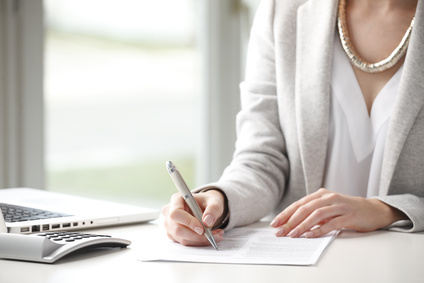 You can also compare two fields to perform validation. Let’s say you have two date fields, Effective Date and Expires. You want to make sure that the effective date is less than the expiration date. In this case you would insert your comparison formula at the list level instead of the column level, since you can’t reference any other fields besides the current field at the column level. From the List Settings page, choose Validation settings. Enter your comparison formula and the user message. A list of all the columns in the list are located to the right; double clicking will add them to the formula. Then when you try to enter an effective date that is greater than the expiration date, you’ll see the error message. 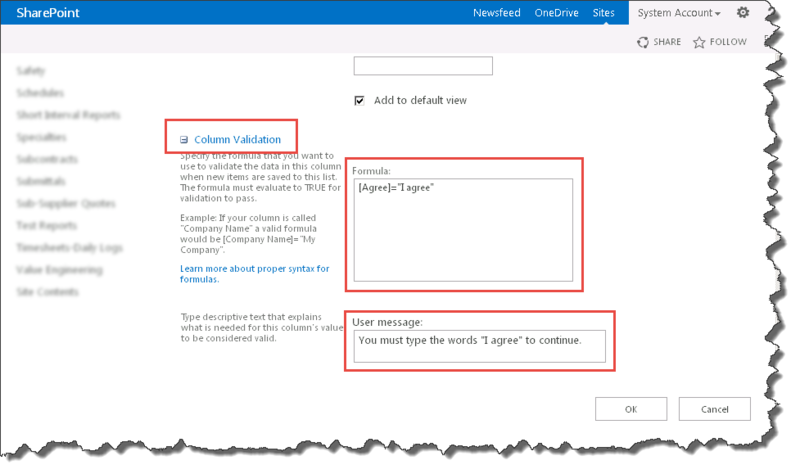 You can see some examples of common formulas in SharePoint on the Microsoft Office site here. In the next article in this series, we will discuss hiding unnecessary form data from your users. I like the way you have stepped through the information and look forward to the next parts. Fab article Wendy. User-friendly forms are the one thing that our users keep asking for over and over again. Really looking forward to the next parts. Whatever happened to parts 2-4? I can’t find them on your site.